We have all been there at one point or another, when we forget to turn off the headlights in our vehicle and don’t return back for hours. Sure jumper cables are nice but that requires someone nice enough to help or if your like most people about a 30 min wait until a friend or relative can come to the rescue. You can also buy a conventional jump starter which is a lot more convenient but you may not have the room in your vehicle for it. 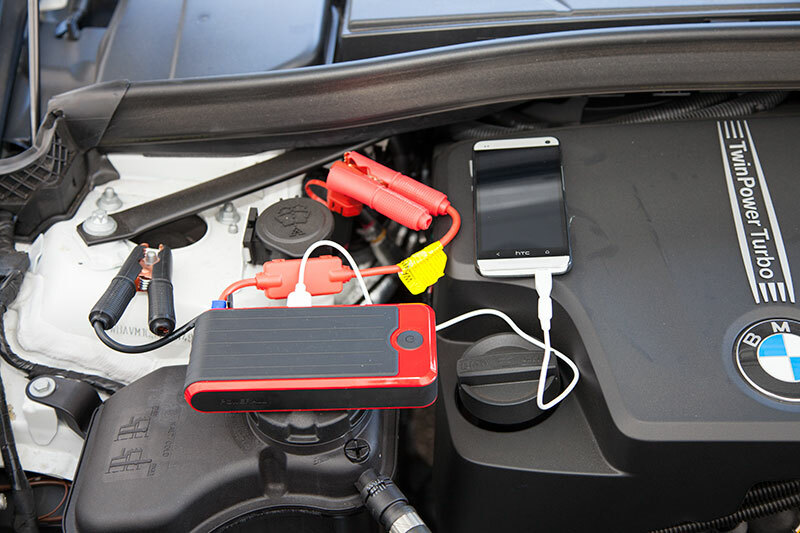 Then there is the PowerAll PBJS1200R that is about the size of a smartphone but not only has the power to jump start even the largest vehicles up to ten times in one charge but can also make sure you don’t miss a call or text as it can charge most cell-phones as well. The 200R is so small that hiding away in your glove box or tucking it away under a seat is but a simple task and convenient enough so that when you do need it, it’s always within arms length. An added bonus to this little giant is its ability to be used as a standard flashlight with up to 120 hours of use. 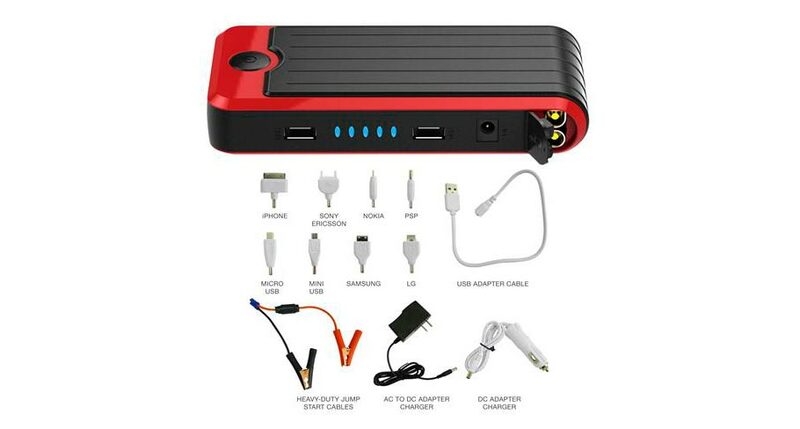 Still its 12 amp High capacity Lithium Ion battery with 400 cranking amp discharge capability is what remains the most impressive feature and should be able to start virtually any car on the road. As far as your phone is concerned, the 200R comes with all the adapters shown below, including the most popular phones such as Apple iPhone and Samsung phones. Next story Single Din vs Double Din – What’s the difference?